Moving beyond consumer grade WiFi equipment, our Always On WiFi service is more powerful and customizable to provide the best WiFi network possible! We offer a wide range of options for our Always On WiFi service to fit your home, business, or any other environment. With the ability to add or remove access points, we can 100% ensure that your home or business is fully covered by WiFi. Our equipment gives more options of managing your network than ever before, with the ability to view traffic statistics and monitor potential outages. 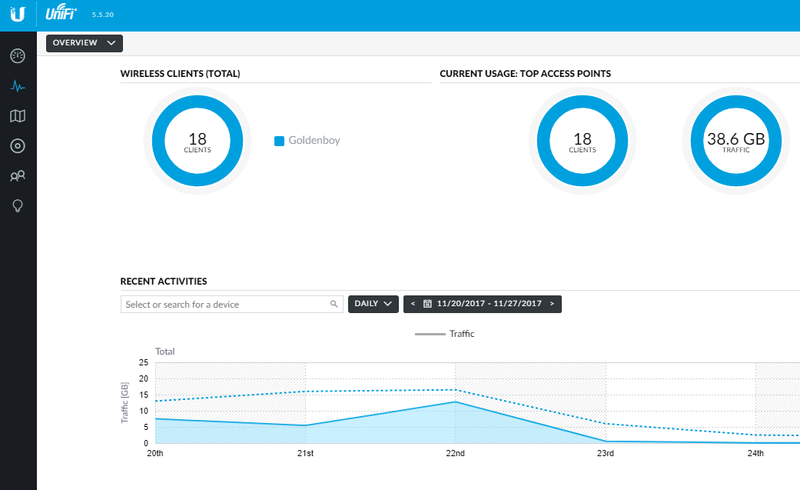 Our Unifi Controller software allows for remote management of your network so that we can assist you or you can check on it wherever you go! Stop worrying about WiFi and just use it! Our Always On Wifi service is designed to ensure full wireless coverage for your house or business with specialized UniFi Access Points. 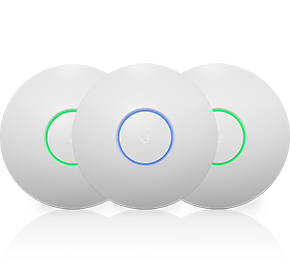 These Access Points, or APs, have a greater broadcast range than standard consumer WiFi devices and utilize your existing internet connection. They are also feature packed, allowing secure remote access to configure and manage your network through our Cloud controller. By signing up for this service, you gain access to enhanced support through LMi. We are able to specifically view your Wireless APs and tailor their configuration for their environment, such as a personal home network, a network for your tenants, or a secure guest network for your business. We can also manage these devices to troubleshoot connectivity and determine quickly and effectively why a device may be experiencing a loss of connectivity. In the event of hardware failure or defect for any of our managed devices, we will replace that hardware and reinstall the affected hardware for as long as you maintain the service. This can be done through a computer or your Smartphone, even while you are not at that location. We will also be available to provide that information as needed and assist with any configuration changes. As long as you have an internet connection, we can ensure that our managed wireless networks can provide you with problem free internet access. Some locations will require additional equipment in order to ensure full coverage of the location or to accommodate an existing network setup. Our home configurations typically involve one wired Mesh access point and at least one other Mesh access point with a wireless uplink. Additional Access Points or Switches are available at $125 each for Home users. Our standard installations include labor for mounting our wireless access points. Some locations may benefit from having ethernet cables ran and in the event that it is deemed necessary or preferable to have ethernet run at your location to accommodate a specific configuration, we will charge a corresponding labor charge of $140/hour.